ABOUT. Grenada is the southernmost island in the Windward Islands. In 1763, the mainland was named Grenada when the British gained control of from the French who had named the country ‘La Grenada’. The name originates from Granada given by the Spaniards in the 1520s. When the British regained control, they failed in their attempts to rid the island of French influences imposed since 1649. Years on, our islands reveal influences of Amerindian customs, French and English settlement fused with African, East Indian and Caribbean ancestry. The first people believed to have settled in Grenada were the Arawak-speaking Amerindians from South America. Archaeological sites have unearthed evidence of the settlers, which reveal skilled agriculturists and fishermen who built their own boats, leaving behind skills that remain with us today. Other archaeological treasures are the petroglyphs at Duquesne Bay in the Parish of St. Mark, where carvings on large boulders depict faces and drawings from the past. It is a very friendly island with small villages. Areas of it are rainforest due to the 160 inches of rain that falls each year on the interior of the island. 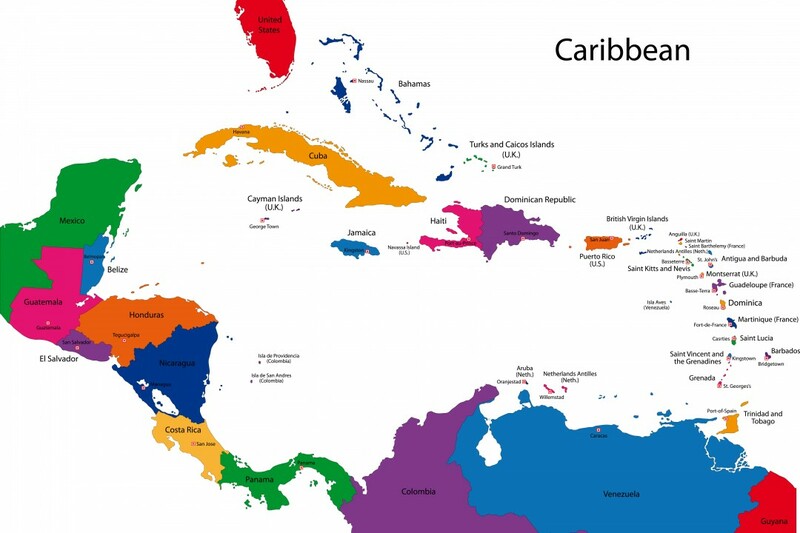 With less than 110,000 inhabitants and only 133 square miles of land, the tri island state of Grenada, Carriacou and Petite Martinique are small. Despite its size, the island is widely known for its abundance of spices, unspoilt beauty and friendly people. Also known as “Spice Island,” Grenada’s fertile soil yields abundant cinnamon, cloves, ginger, and especially nutmeg. Nutmeg was brought to Grenada in the 1780s by the British and the crop is still exported today. A nutmeg processing station can be toured in the town of Gouyave. Other crops on the island include cocoa, bananas, and citrus, as well as mangoes and coconuts.